Ken Brown is recognized as one of Santa Barbara County’s pioneering winemakers and innovators. He was among the first vintners to realize the tremendous promise for Pinot Noir and Chardonnay in this cool-climate appellation in the mid-1970’s. He was also the first winemaker to introduce the Syrah grape, as well as Pinot Gris and Pinot Blanc, to Santa Barbara County. With an uncompromising drive for quality, Ken constantly reevaluates everything he does in his winemaking endeavors. 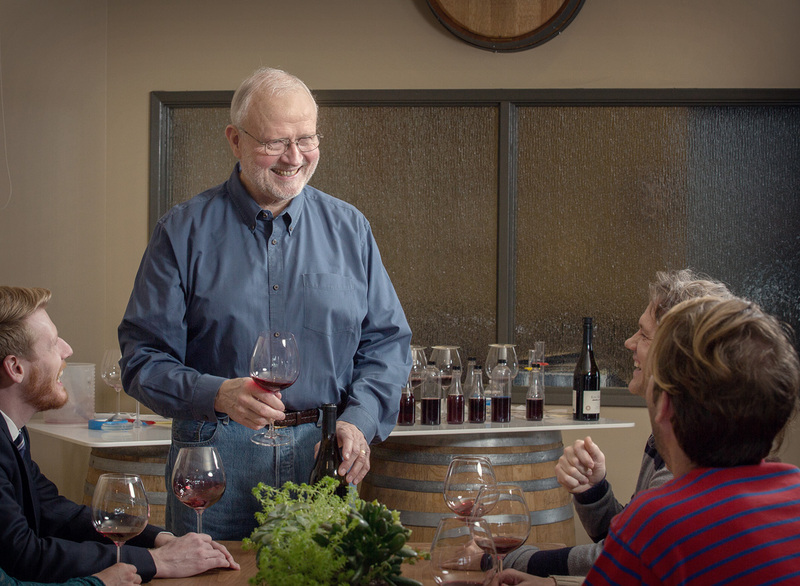 With the benefit of nearly 40 years’ experience in this region, Ken’s goal is to focus on exceptional Pinot Noir from leading vineyards in Santa Rita Hills and several other select locations in the county. With the introduction of Ken Brown Wines in 2005, Ken feels that he has reached a place where he can optimize the best sources of Pinot Noir with uncompromised winemaking. His wines feature Pinot Noir in addition to limited bottlings of Syrah, Sauvignon Blanc and Chardonnay.